The first Mickey’s Not-So-Scary Halloween Party for 2016 will be held this Friday (September 2nd) at the Magic Kingdom. Here is a look at the entertainment schedule, dining, attractions, and trick or treat locations to help you plan your night. The event begins at 7:00 PM and ends at midnight. Party ticket holders can enter the park as early as 4 PM. 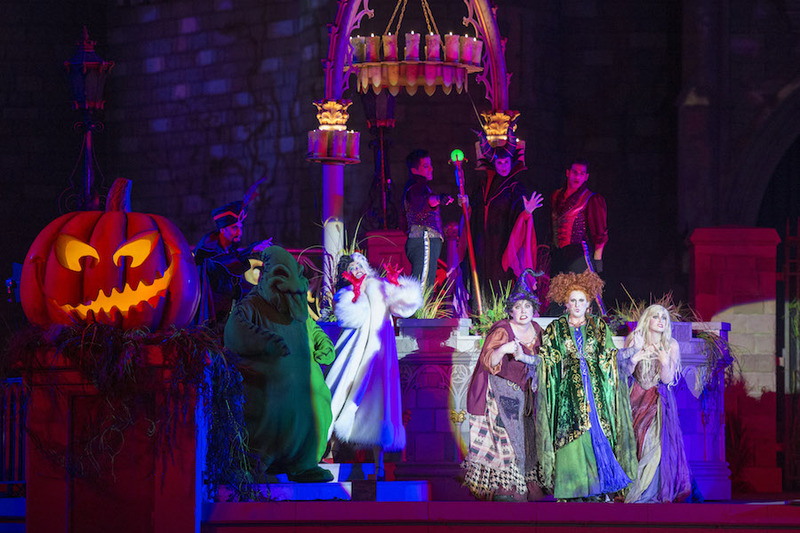 The hugely popular Hocus Pocus Villain Spelltacular show at Cinderella Castle that debuted last year will be performed three times during each party at 9:15 PM, 10:40 PM and 12:00 AM. Starting on September 16th there will be an additional show at either 8 PM or 7:45 PM. The Mickey’s Boo-To-You Parade is held at 8:30 PM and 11:15 PM nightly. Happy Hallowishes fireworks are held at 10:15 PM. Special merchandise and treats are back, with a special edition MagicBand, a special edition Trading Pin, and of course the event T-Shirt. Guests can get these at the Emporium. The Trading pin can also be found at Big Top Souvenirs. Gaston’s Tavern will be selling a special Pumpkin Spiced cupcake. Storybook Treats will have Candy Corn soft serve ice cream. The Main Street Bakery will be offering two special cupcakes, a spider cupcake and worms and dirt. The Plaza Ice Cream Parlor will have a special Creepy Ice Cream Cookie Sandwich. Hocus Pocus Villain Spelltacular – 9:15 PM, 10:40 PM, 12 AM. Get ready to put on your dancing shoes! ABC’s Dancing with the Stars returns September 12 at 8 p.m. ET with the return of some of your favorite professional dancers and an all-new superstar celebrity cast. Read on to figure out who you’ll be rooting for this season. Laurie Hernandez and Valentin Chmerkovskiy—Gymnast Laurie Hernandez recently went for the gold during the 2016 Olympic Games and now she’s going for the silver—the silver mirror ball trophy, that is! We wonder if this member of the Final Five will make it to the Dancing with the Stars finals? Ryan Lochte and Cheryl Burke—Laurie’s not the only Olympian in this year’s cast! Olympic swimmer Ryan Lochte will trade the swimming pool for the samba on the upcoming season. Calvin Johnson Jr. and Lindsay Arnold—The former wide receiver is the next pro football player to take the Dancing with the Stars stage. Jake T. Austin and Jenna Johnson—We were bewitched by Jake T. Austin on Disney Channel’s Wizards of Waverly Place, and we’re sure The Fosters star will be just as magical on the dance floor. James Hinchcliffe and Sharna Burgess—Will the Canadian race car driver make it to the finish line? Amber Rose and Maksim Chmerkovskiy—Will the model and black-ish guest star be the belle of the ballroom? Jana Kramer and Gleb Savchenko—The actress and singer is about to become a triple threat on the upcoming season. Kenny “Babyface” Edmonds and Allison Holker—The musician, singer-songwriter, and record producer will become a song AND dance man on Dancing with the Stars. Marilu Henner and Derek Hough—After starring in more than thirty films, six Broadway shows, and two classic sitcoms, actress Marilu Henner is ready to take on her next starring role—on the dance floor. Maureen McCormick and Artem Chigvintsev—This season of Dancing with the Stars will be all about “Maureen, Maureen, Maureen” when The Brady Bunch star takes the stage. Vanilla Ice (Robert Van Winkle) and Witney Carson—Will the rapper turned real estate expert glide his way to the top? Rick Perry and Emma Slater—The former Texas governor is hoping to be the “lone star” left on the dance floor. Terra Jolé and Sasha Farber—There’s no rest for the Little Women: LA star! Terra just welcomed her second child on August 1, but we have no doubt that this mom is ready to mamba! Also starting this weekend is the special fall edition of the popular Main Street Trolley Show, greeting everyone along the avenue with a joyous song all about “the magic that can happen when it’s autumn.” So be sure to head on out to Magic Kingdom Park this fall and take in all the wonderful sights and sounds of the season! The forecast for Tropical Depression NINE has it likely impacting the theme park of Central Florida later this week. The current forecast track projects the system to still be a Tropical Storm in Central Florida on Thursday, with sustained winds between 39 and 73 mph and with heavy rainfall. Based on previous storms of this size, guests should expect that the storm will affect outdoor entertainment and transportation at the Walt Disney World theme parks. For everyone planning to attend Mickey’s Halloween Party at Disneyland there is some exciting news! 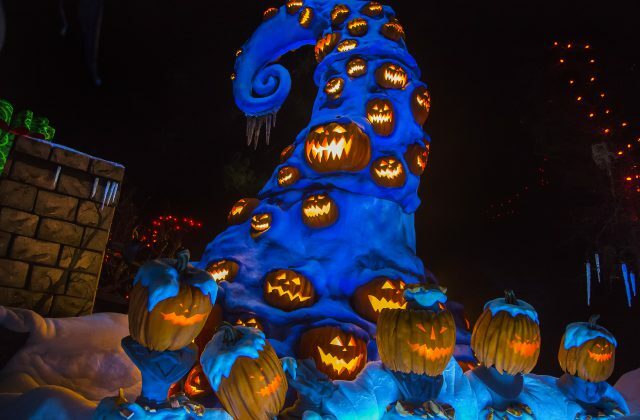 Beginning this year, all you “boos” and “ghouls” are invited to gather for chills and thrills when the all-new “Frightfully Fun Parade” takes to the streets, featuring a spectacle of spooky spirits from the deepest bayous of New Orleans to Halloweentown and beyond. 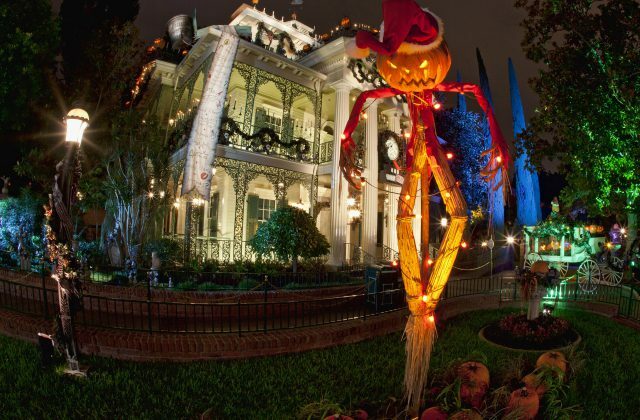 The “Frightfully Fun Parade” will be presented exclusively during Mickey’s Halloween Party, a separately ticketed event at Disneyland park hosted over 17 nights from September 23 to October 31, 2016. Purchase your tickets early here and save! Mickey’s Not So Scary Halloween Party kicks off at the Magic Kingdom in September, and Disney has updated the costume restrictions since the parties in 2015. As the threat of Zika approaches Orlando, Walt Disney World will start providing free insect repellent for guests visiting the park. Florida Gov. Rick Scott asked businesses throughout the state to help in any way they can in stopping the spread of Zika. One of the ways to prevent the spread of the virus is to encourage the use of insect repellent. Disney will have various types of mosquito repellent at its theme parks, Disney Springs and the ESPN Wide World of Sports complex. Hotel rooms will also have aerosol bug spray. The resort will have signs informing people they can get the protection. “In an abundance of caution, we are accelerating preventative efforts throughout our property, including providing complimentary insect repellent to our Guests along with helpful guidelines from the Center for Disease Control and Prevention,” Disney said in a statement. There will be a number of changes to the bus service for Disney’s Saratoga Springs Resort beginning August 29th. Disney’s Saratoga Springs Resort will also have a new internal bus service. Starting next week, a dedicated bus will run internally, stopping at the eight bus stops approximately every 20 minutes. Why Clawhauser? Because he loves sweets, particularly donuts! On Halloween he enjoys sharing the delicious, ring-shaped delights with the trick-or-treaters who come to his door. Merlin the Magician was so impressed with the cheetah’s generosity, that he created a spell in his honor, “Clawhauser’s Tricky Treat.” When a sorcerer casts this spell, dozens of magical donuts appear! But spell-casters must be wary: careless use might result in an explosion of rainbow sprinkles! New to the game? Sorcerers of the Magic Kingdom is an in-park interactive experience that allows guests join Merlin’s quest to defeat Disney Villains who are scheming to take over Magic Kingdom Park. Guests use maps to search for villain hideouts throughout the park, and visit magic portals where they use spell cards to fight back against a villain’s plan. The journey begins at the Firehouse on Main Street, U.S.A., where you can pick up everything you need to play. This special event card will be distributed separately (and in addition to) the regular Sorcerers of the Magic Kingdom card packs you’re given at this location. Guests must register to play with their party ticket and event wristband in order to get one.